God bless Michael and Karen Pence – and may He use them even more powerfully in coming years. Israeli investigators have discovered evidence suggesting strategic plans to remove Trump from office. Please pray with Messianic Israelis for Trump’s protection, expecting victory and deliverance from any such evil scheme. A reputable Israeli journalist revealed in late January that PA President Abbas has maintained close ties with the previous Obama-Kerry administration. Recently, John Kerry met with a top confidant of Abbas, named Hussein Agha. Kerry reportedly told Agha to tell Abbas that Trump will not remain in office for long, with a good chance he would leave the White House within a year. He advised Abbas to stay strong against Trump and “play for time.” Kerry offered both American and international help to the Palestinians. 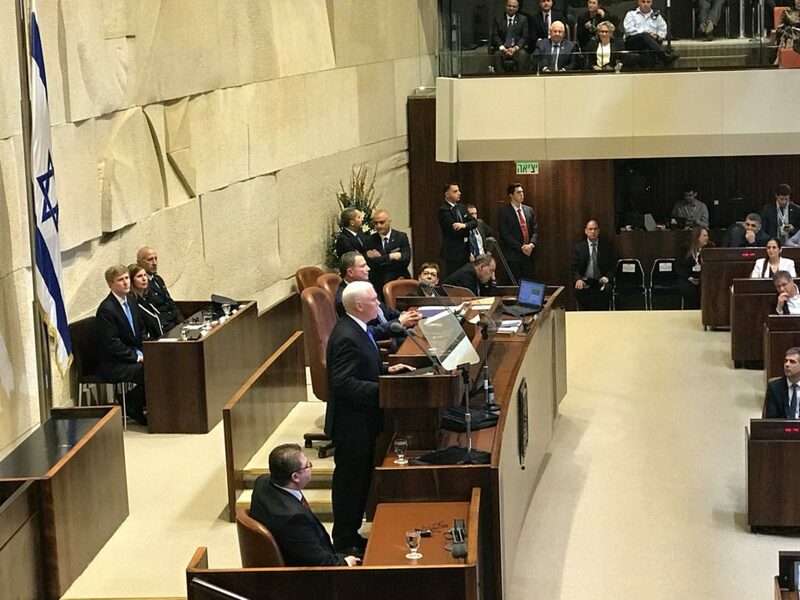 (Ben Caspit, Maariv News)* Several Israeli media outlets have re-published the report, although its accuracy has not been confirmed. In any case, the report amplifies God’s call to pray for President Trump. He and his administration face strong opposition as they seek to align the US (and other nations) with more biblical standards. “Sovereign YHVH, You have raised up Mr. Trump to the American Presidency (Psalm 75:6-7). Therefore, along with my Israeli brothers and sisters I declare, ‘There is no authority except that which God has established.’ (Romans 13:1) Thank You for keeping President Trump in office for as long as You desire, ‘that we may live peaceable and quiet lives in all godliness and holiness’ for the sake of the Gospel. (1 Timothy 2:2, Psalm 125:3) I ask you to incline Donald Trump’s heart toward You and Your ways, for ‘The king’s heart is in the hand of the Lord; He directs it like a watercourse wherever He pleases.’ (Proverbs 21:1) Give Mr. Trump wisdom, expose any harmful secrets of demonic darkness against him, and inform US intelligence agencies with accurate facts and truth. 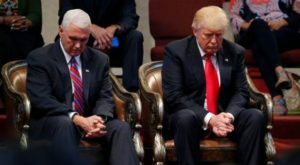 (Isaiah 8:10, Proverbs 21:30-31) Strengthen him, together with Vice President Pence, in every respect. “If it is Your will for Mr. Pence to follow Trump when Your appointed term for him ends, please prepare Pence for the task and calling ahead. Bless these two leaders and their nation for standing with Israel. Provide grace for them, and the United States, to continue aligning with Your ancient covenant people.